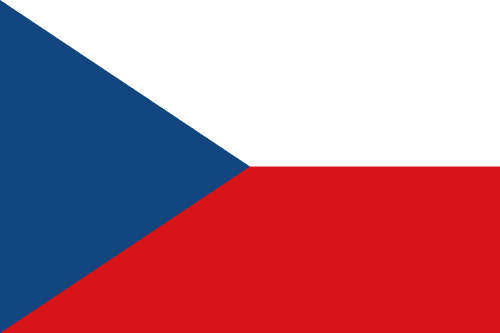 I don't have issues with current Czech Republic flag, actually I think it's an awesome design. But its symbolism is outdated, so I was curious to think about an alternate design. This flag was obtained cleverly mixing the Kingdom of Bohemia white-red flag with Slovakia white-blue-red, on the time of Czechoslovakia formation. As Slovakia is now an independent country, one can think about a new flag. This design still use the same layout of current flag, unique among national flags. 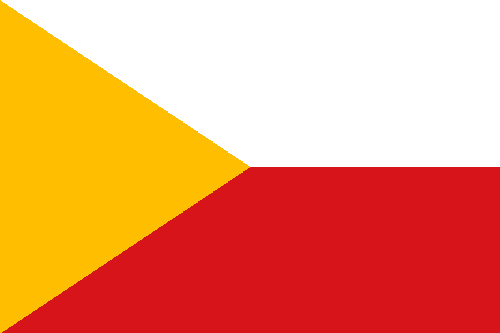 Bohemia's white-red is still the most prominent part of the flag, but, slightly turning your head to the left, Moravia's yellow-red is now recognizable. Yellow is also the most prominent color of Silesian coat of arms. This flag don't have the blue of pan-Slavic colors; if it's good or bad is only personal opinion not related to vexillology. After I designed it, I found a similar, but not identical, proposal here. Because it's a very simple design, there's a chance an identical proposal was made before. If you know any instance, please report me. A virtual friend, Hosmich, asked some time ago about a flag for the Italian and Italian-descendant people that lives in the Americas. Why? If you look at my surname, you may have noticed I have some Italian ancestry. Italian diaspora is very relevant in countries such Argentina, Uruguay, Brazil, USA, Canada, Peru and Venezuela. As the Italian reunification only occurred in the 19th century, there isn't a long tradition of Italian national symbols. One of them is the stella d'Italia ("star of Italy"), that dates from the first millenium after Christ. It's often associated with the story of the morning star guiding Aeneas, considered by Virgil's Aeneid the legendary founder of Rome. 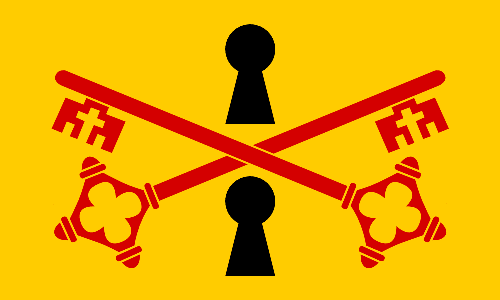 It appears on current Italian national emblem. The rays on the colors of Italian flag was inspired by this propaganda piece dating from WW1. 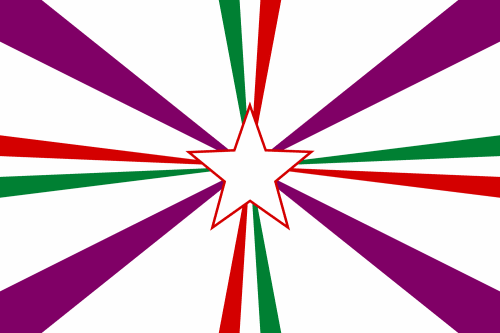 Specifically to Americas, I chose the purple color, from a Pan-American flag. Much thanks to Hosmich by the suggestion. 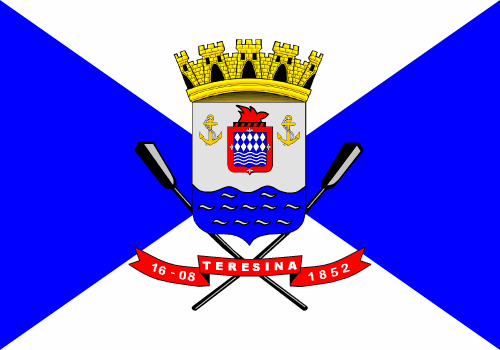 The series about state capitals flags continues today, with Teresina, the first planned capital of Brazil and, more oddly, the city with third biggest lightning incidence of world. The coat of arms is, aside from heraldically incorrect, very redundant, as you can see on following rationale, and overloads the flag. The inescutcheon is an imprecise version of the coat of arms of Saraiva family, referring to city's founder, José Antônio Saraiva. 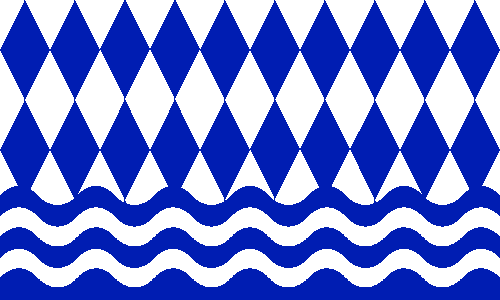 The blue wavy base refers to Poti river, that gave the first name of the settlement, Vila Nova do Poti ("New Village of Poti"); the two anchors and two paddles stands for the navigability of Poti and Parnaíba rivers, that helped the development of the region. 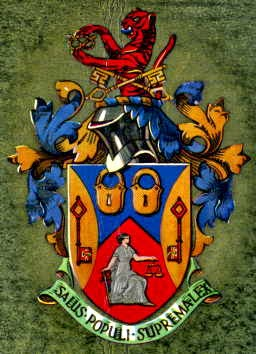 As I said, the coat of arms of Saraiva family is wrongly described: the vair gives way to blue and white lozengy pattern, the fleur-de-lis should be golden instead of white, the crest should be a swordfish and the wreath should be blue and white instead of red and black. I reduced the changed Saraiva coat of arms to the main features, and stylized it to the two white wavy stripes coincide with Poti and Parnaíba river, confirming all the key symbolism of current flag. As I think I won't update this post before the occasion, happy Easter and/or Passover for those that commemorates them. 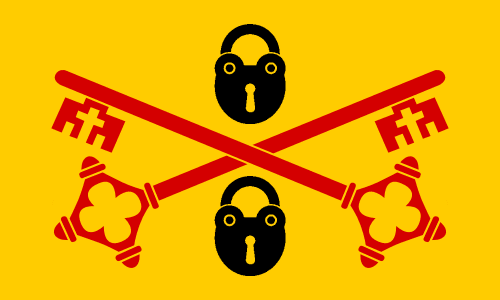 I've received an e-mail about a competition to decide new flag of Willenhall, located in the historical county of Staffordshire, now in West Midlands. I've decided not to send a proposal for many logistical reasons, and, in the end, I haven't develop enough my concept. 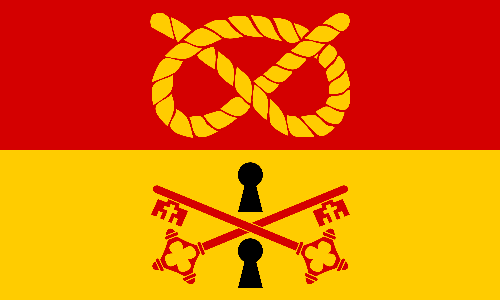 The top stripe has a Stafford knot, a link to the Staffordshire county. The keys and locks refer to the fact that the town is famous for the fabric of padlocks. Black is added in reference to Black Country. I haven't submitted it because, among other reasons, as I said, I'm not totally satisfied with the design. The keys arrangement is a coincidence to the fact that Willenhall inhabitants used St. Peter's Collegiate Church, Wolverhampton, in the earlier years. Possibly, other changes could occur, like changing lock holes to padlocks. But flag right above is surely an improvement. If you're reading this line, I invite you to know the six finalist designs and cast your vote on this link (official poll. Although I'm not participating, I'm happy because the judging panel chose six really amazing proposals. My thanks for Philip Tibbetts for inviting me to design a proposal.